Male fertility is just as important to focus on as women’s fertility. It is fifty percent of every couples fertility journey. 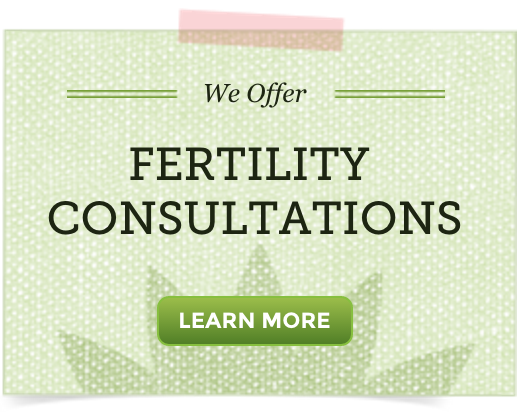 Sperm health is important to focus on whether battling infertility or not. This video was shared live. Download the Instagram App to watch our live broadcasts! If you have been trying to conceive for a year or more, the male needs to get a sperm test done. A lot of people will go to their general practitioner (your every-day doctor), but consider working with a reproductive endocrinologist (RE). Testing should measure sperm count, morphology (shape and size), motility (possess one flagellum or “tail”) and mobility (ability to move/swim forward). In general, a sperm count of 20 million or more is considered a healthy count. EMFs and WiFi – carrying a cell phone in pocket and working with a WiFi enabled laptop directly on the lap. Cigarette smoke – creates free radicals in the body. If you smoke, create a plan to quit. Pesticides – meat and dairy products should be organic first, and then fruits and vegetables. Learn the “Dirty Dozen” and purchase these organic. There is a direct link to sperm health and exposure to pesticides. Soy – Researchers at the Harvard School for Public Health in Boston say that soy consumption can decrease sperm production. Alcohol – Excessive alcohol consumption has been found through studies to reduce sperm count and morphology. Plastics – Plastics mimic estrogen in the system. Men naturally have estrogen, but too much estrogen in ratio to testosterone can cause hormonal issues for men. Overheating the testicles – Healthier sperm need to stay cooler than the rest of the body and the testicles were designed to naturally do that. If they are kept too close to the body they aren’t as efficient. Wear boxers! Stress – Stress has a big role to play in male reproductive health and sperm health. Zinc: It is one of the most important trace minerals for male fertility. Shown to boost sperm levels, and improve the form and function of the sperm. Food sources: liver, oysters, lamb, beef, venison, turkey, yogurt, turkey, sesame seeds, Brazil nuts, hemp seeds. Selenium: Men who have fertility issues have been shown to have low levels of selenium. Food sources: liver, cold water fish, turkey, Brazil nuts. CoQ10 (Ubiquinol): Helps to protect sperm health and sperm DNA. Food sources: salmon and organ meats, but to make sure you are getting enough supplementation of CoQ10 Ubiquinol is recommended. Vitamin C and E, Folate, B-12: These antioxidants help keep the DNA intact as well as help with increasing sperm count. A high-quality, whole food men’s multivitamin is a great way to get these vitamins/antioxidants. Fertilica Choice Antioxidants is a fertility-specific antioxidant blend to learn about as well. Sperm has about a 2.5 to 3 month cycle production, so the things you are doing today affect what is happening to sperm three months from now. These lifestyle changes need to be done on a daily basis. We have seen amazing changes for men when a healthy, whole food diet is put into place. Dietary changes and supplements will help you focus on incorporating minerals and antioxidants into your natural sperm health program. Be consistent! Thank you for these info, I’d appreciate your detailed explanations on so many issues! I’m wondering if a man can have his multivitamin (which has vit c, d, e, selenium, zinc and so many other things) at the same time with three tablets of Fertilica Choice antioxidants? I’m asking this because that antioxidant complex has so much Vit E, Vit C, and Folic acid inside it as multivitamin does. Is it going to be a problem for a man to have let’s say it clearly; 500 mg vit C, 650 IU vitamin E, 77 mg Vit B6, 800 mcg folic acid, 375 mcg biotin, 225 mcg selenium a day?? Yes, a man can take his multivitamin with Fertilica Choice Antioxidants. Suggested use of Fertilica Choice Antioxidants is, as a dietary supplement take 1 capsule, 3 times a day with meals. Many can and do take a multivitamin with Fertilica Choice Antioxidants and eat an antioxidant-rich diet with no concerns at all. If you are concerned about any dietary or supplement intake of a specific nutrient, do talk to your husband’s doctor or pharmacist about his specific needs.